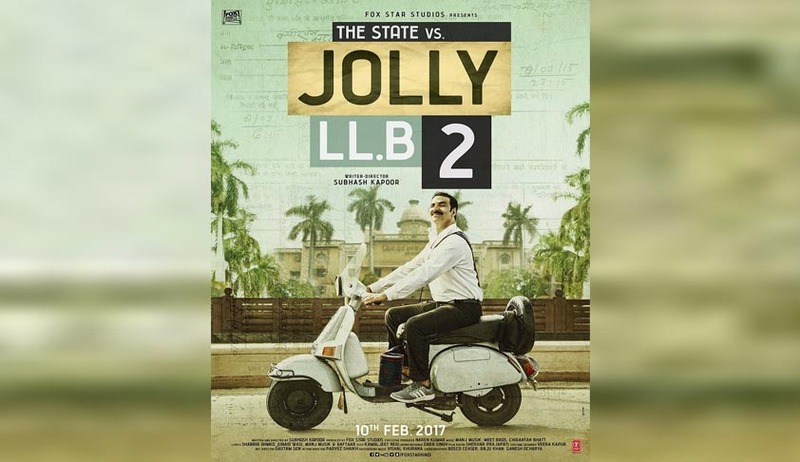 Fox Star Studios today informed the Supreme Court that they have agreed to cut some scenes in their Akshay Kumar starrer movie Jolly LLB2 ordered by the Bombay High Court for showing the judiciary, judges and lawyers in a poor light. Lawyers for Fox Studios submitted before a bench headed by Justice Ranjan Gogoi that therefore they were withdrawing the petition filed in apex court challenging the HC decision to scrutinise the movie. They said they also took a speedy decision to ensure that the release of the movie scheduled for February 10 is not delayed. The Aurangabad bench of the Bombay High Court yesterday ordered the deletion of four scenes - a scene where a scared judge is hiding behind the chair, another where a shoe is hurled, a scene with objectionable signalling and dialogues in an argument scene have to be modified. Earlier a committee comprising two senior lawyers from Aurangabad and a doctor said that the film does show the lawyers and judges in bad light. The report was submitted on February 5 by the committee. The report says, "After the entire film was viewed by us, we found following scenes which according to us is objectionable. The screen shot that depicts the male protagonist approaching the dias and returning from the dias after dialogue with the learned judge and immediately thereafter the male protagonist signalling to his client as a result of which the client commits further act of throwing the shoe at the judge. The said visuals or words involves defamation of body of lawyers as the said scene according tend to disgrace or undermine the dignity of lawyers and courts, in view of the section 5B of the cinematography act 1956 and guideline 2 (18) for certification of films of exhibition. Despite vehement pleas by senior lawyer Kapil Sibal and Siddharth Luthra who appeared for the producers, a bench headed by Ranjan Gogoi said for the time being it will not issue any order and asked the producer to raise all the plea before the HC concerned. When Sibal said “I myself has seen the trailer on the basis of which the panel was formed and release stayed there is nothing in it ..absolutely nothing, Justice Gogoi retorted “You put up your defence before the High Court..say all this there..if you are unable to convince them then come back. Anyways the hearing there is on February 6..we shall hear it on 7th. Anyways the scheduled release is only on 10th so don’t worry”. Fox Star Studios moved the Supreme Court challenging the January 27 order of the Bombay HC order to appoint a three member committee to review the film. Sibal repeatedly sought the permission to release the movie contending that it has already been cleared by the censor board. The Aurangabad bench of the Bombay High Court had asked the committee to find out whether the allegations levelled by petitioner Ajaykumar Waghmare are true. Waghmare is a practising lawyer from Nanded, who had said that the film is "nothing but an attempt to portray the Indian Legal Profession and Judicial System as a laughing stock to the society at large." Waghmare said that the characters in Jolly LLB 2 are playing cards and dancing in the premises of the Court of Law which clearly shows disrespect towards judicial discipline, proceedings and ethics. The characters jumping on the judge's dais and fighting in court shows mockery of the court. Waghmare had formed his opinion after watching the trailers. He also attached a copy of the trailer in his petition as well. However, senior lawyer P M Shah appearing for the filmmaker has quashed the baseless allegations and said that the complete picture of the film cannot be formed on the basis of trailers. The bench, consisting of justices VM Kanade and Sangitrao Patil had said, "We have seen the photographs; one of which shows a lawyer jumping on the dais and arguing with the judge. The second photograph shows the judge hiding below the dais and passing some orders by banging the gavel on the table." With this, the court felt that "prima facie, though the above referred photographs do indicate total disrespect or disregard to the high office of this court, we cannot jump to that conclusion unless the contexts in which these scenes are shown, are examined in their proper perspective". Thus, the court felt that it is necessary to appoint a committee as amicus curiae to watch the film and submit a report. With this, the court appointed advocates VJ Dixit and RN Dhord, along with medical officer Dr PR Kanade as amicus curaiaes to watch JollyLLB 2 on February 1. After the committee's report, the case will be called for hearing on February 3.